I was 36 when I had my first child, and my book about the experience: A Double Life, Discovering Motherhood, is deeply informed by my deliberate decision to have a child in my mid-thirties. A Double Life, Discovering Motherhood tells my personal story set against the backdrop of science, focusing on how motherhood’s physical changes give rise to its profound emotional and psychological transformations. There would be time for plans. So for the first time in my life I found myself rooted in the present, fully mindful of the life I was living. I knew I could look ahead and try to imagine what I could not even begin to comprehend. But I also knew that all my imaginings of pregnancy, childbirth, and the long years of motherhood would most certainly be wrong. The worries I had now were sure to be misplaced, and the ones that I ought to have had could not possibly have occurred to me then. Who would benefit if I worried my mind smooth like so many beads? Slowly, the anticipation and anxiety that had ruled my life for as long as I could remember began to dissipate. There were not so many days left for us to be alone together. I was happy being pregnant and happy with my husband. I thought I ought to enjoy these things before they vanished, mark them both while I had the time and the mind to attend to them. There was a great change taking hold of my body and somehow it had taken hold of my mind, too, and it cautioned me: Slow down! Motherhood meant change. That was its bedrock. That was the difficulty to be embraced. If I could understand this change, if I could make my peace with it, then maybe someday I would measure up and become a mother. In the beginning, I had no idea how this would transpire. This epiphany informs much of my book: I investigate how pregnancy alters nearly every system of a mother’s body; how pain transforms her mind; how hormones transform her emotions; how newborns “hatch” into consciousness. The physical space of your home changes, your marriage changes, your politics and spirituality may change too. Near the end of my story I wonder, given the enormity of the undertaking of motherhood, why would you want your life to stay the same? Because I came to motherhood later, I was ready to embrace these changes. I was ready to settle down and pay attention to someone (my husband, then my daughter) other than myself. I was ready to live in the present tense. Finally, it felt like I had arrived at the center of life. Although part of it was probably the hormones, the effect was long lasting and life changing. Mothering can be exhausting and chaotic. It produces its own daily anxieties. And the conversations we have about parenting can be confusing and contradictory, contributing to the natural stress of the job. We worry about whether our children are overscheduled or under-scheduled; we worry about the food we feed them; the schools we send them to; the media they consume; the friends they make or don’t; the illnesses they are exposed to. I try, day in and day out, to listen to the sage advice of Ralph Waldo Emerson: Trust thyself, he wrote. For me, this means tuning out the noise, slowing down—for at least part of every day--and paying attention to what is unfolding in our present lives. This means choosing carefully when and how to participate in some of the seemingly urgent conversations we have about motherhood--from “bad” mommies, to Tiger Moms, to the mommy wars. From the moment the zygote begins to grow, our lives never stop changing. We honor this change best when we understand that the source of our greatest sorrow (our babies grow up!) is also the source of our greatest joy. Our job is not to worry about getting it right. Our job is to live in the present, for ourselves as much as for our children. 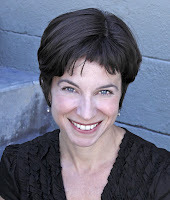 Lisa Catherine Harper is the author of A Double Life, Discovering Motherhood, which won the 2010 River Teeth Literary Nonfiction Prize and has been called “universal, moving, and relevant” by Publishers Weekly. Her writing has appeared online and in print in places including Poetry Foundation, Huffington Post, Babble, Literary Mama, Offsprung, and Mama, PhD. She teaches in the MFA program at the University of San Francisco and lives in the San Francisco Bay Area with her husband, and their two children. Visit http://www.lisacatherineharper.com/. I loved reading this! I think I went through a similar thought/action process during my adoption journey and in the way I went about "discovering motherhood." Thanks for sharing this! Mothers is one gift that anyone that should have. You should treasure every moment that you are with her. Because you'll never know when they are gone for good. The first thing to consider when searching for quality health care is by reading consumer ratings. You will want to look for positive answers to your questions, such as finding out if the doctors communicated well and if the members received the health services they wanted.Male Impotence Not all of the ratings will be accurate, however, so be careful with your research and use your best judgment. It took us years of trying before I became pregnant with our first child. We also experienced the false hopes, the anticipation of waiting for the 2 lines to appear on the pregnancy test kit, or getting an ultrasound that says I am not pregnant at all! But when finally, I did, we enjoyed each day as it comes - looking forward to the next day, but not expecting, just enjoying the day. My husband and I enjoyed almost everything: the shopping for maternity clothing as well as for the baby's needs. We limit our plans to just the waiting period of the baby and agreed to plan another set when the baby arrives. And you're right - after I delivered: exhaustion, chaos in the living room, in the bathroom, every room of the house. But at the end of the day, looking at our children, there is that blissful joy inside you, that contentment. Motherhood - a miracle. They say that one is never a complete woman unless she bears a child. But I say, it's not about bringing a child to this world, it's rearing them and making them the good citizens that we expect them to be - from the moment we learn we are pregnant, (or from the time we've decided we will adopt), from collecting baby shower party supplies to the actual day we will see them marrying themselves off and making a family of their own. It is a privilege every person has, once they decided to become parents. Motherhood totally turned my life around and I am still learning everyday about me and my baby. I had to make changes in our apartment for rent in antwerp to make it baby safe. To go through pregnancy is but a blissful moment in a woman's life. It is the closest we women are to experiencing miracles. This is the reason we celebrate the pregnancy with baby shower, busy ourselves with baby shower gifts as well as babyshower games. To become pregnant is a miracle in itself. As parents, I discovered my wife's motherhood as a reason to stop smoking. So as not to make it stressful, I tried using electronic cigarette for a while. It uses a cartridge that is filled with e cig liquid, which actually replaces the nicotine content of actual cigarette smoking. Somehow it helped me to finally stop as it is becoming a liability to me in terms of finding a legal place to smoke. True, motherhood has its good effects not only to mothers, but to fathers as well. I would have to give a thumbs up to the modern moms. I grew up with only my mother next to me and I think that she's a real hero. She has always applied the skill of making me who I am now, a well brought up young lady through positive discipline for toddlers when I was just little. This is great news. It's always good to see some research supporting e-cigarettes. I think it's written in the starts that I would come across your blog now that I'm having a babyshower. Your post has totally made me discover a new perspective. "Mothering can be exhausting and chaotic" I'm not a mother, but I know for sure that this is true. My mother used to put us in moses baskets from Australia when we were babies - we used to puke a lot and cry out loud, and now we bring a different kind of chaos into the house. But no matter what happens, we still love her and we're thankful that after all the suffering we gave her, she loves us more than herself. And that's the brightest side of being a mother. Even before we were born, our mothers have been so excited that she plans everything, gives baby shower invitations so everyone can celebrate with the birth of her baby and buys all the stuff we will need. I've always been thankful for my mom. I owe all my success to her. I love how moms get so excited about their babies. I mean, they would go on and on about getting the perfect stuff, even after birth, they're always that excited to buy stuff. They won't just settle for baby clothes; they'll want to dress you up with personalised baby clothes, they'll feed you with the healthiest food they could find, and watch the whole 24 hours run while you sleep. I salute my mom. I think my wife will enjoy reading that book. She loves reading and I know she will learn something from that book. Double glazing in windows has always been a popular window option, however it is becoming increasingly popular due to the many benefits of it. One of the biggest benefits of double glazing is that it will help the user to cut down on their energy bills, due to the fact it keeps heat in the home better than normal windows. I have used many double glazing companies in my time however, one of the best I used was Image PVC-U. They can provide double glazing in Nottingham and I highly recommend them. Well, for me I truly enjoy motherhood. I won't be hypocrite and say everything's perfect. It's really hard and you have to sacrifice a lot of things, but it is truly worth it because my kids are my source of happiness. Plus I'm having fun finding cute little dress, shoes and stuff for them. There's additionally a volume of snoring and prevent snoring remedies, including altering to sleeping on your side rather than your back, maintaining diet and rehearse program, clearing your house of allergens that will assist you breathe simpler with the evening, raising your brain through getting one more pillow through the evening or using physician suggested apnea treatment products. Each time a patient remains recognized with anti snoring, a much more aggressive volume of snoring and prevent snoring remedies might be needed. If left neglected, anti stop snoring can result in heart disease, a stroke or any other serious condition. Many apnea sufferers make use of the Continuous Positive Airway Pressure (CPAP) machine to enable them to get yourself a continual amount of air with the evening, which assists to avoid the tissue in their throat from failing and impeding their airway leading to individuals to prevent breathing completely. Some people compensate through sports, gambling, and others in order to forget the depression of not conceiving a child. More often than not, it can be a good thing since they can forget about it easily and cope with it but this article is definitely one a must-read for those who'd like to see a silver lining and a glimmer of hope. Losing or being unable to have a child is really a depressing part of having or starting a family. Hi Robin.., I love the tag line of the blog! of course its an honour., wait is worth it in every sense. Late mothers a rather fulfilling life. Achievers, doers than dreamersz. Among the perfect usually seek advice from those who are obtained within the video game add-ons. Minor honestly essential difficulties state such as. From my point of view a mother is the best friend, philosopher and guide for a child. She always looks upon the child's clothing, food, education and almost everything. By the way thanks a lot for such a lovely posting. I enjoyed a lot after reading this. Keep writing. Hookah Fantastic Information !! I appreciate your information. Glad to find the page. Great read here. The obstruction results from excessive tissues in the airways, large nasal passages or tonsils, or large tongue. Whatever the reason might be, the person suffers from frequent obstruction or excessive daytime sleepiness while sleep Apnea Equipment.